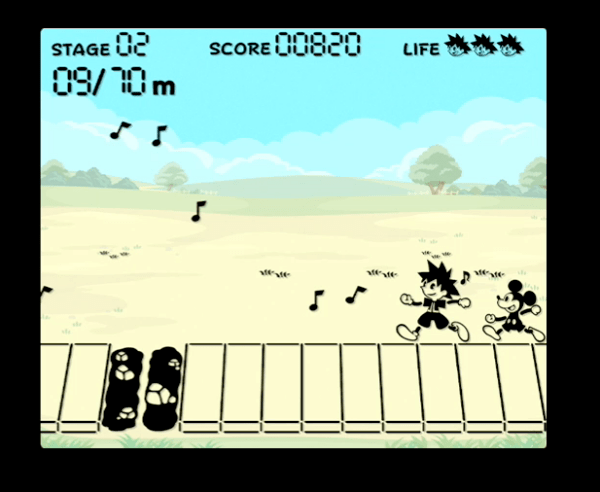 A guide on how to play Mickey Steps Out, a Classic Kingdom game in Kingdom Hearts 3. Also included are the controls for the mini game. Mickey Steps out sets Sora on a walk with Mickey towards Minnie. However, this is not just a simple walk, as they both need to avoid puddles by jumping. Sora will lose a life if he steps on a puddle.